I am one of lifes social dorks. I don't cope so well out of a professional setting frankly. I'm fine with family, fine with people who I have managed to breach the social wall with, (usually after several years) and AOK in a professional social setting where I can talk the talk. But invite me to a party or BBQ where I don't know many/any people and I struggle. The Digital Bloggers Conference was painful for me, and I muddled through it by desperately embracing the other volunteers. So when my sister-in-law from over at Salz Dummy Spit invited me to come along to a bloggers lunch to meet Glow while she's out from WA I cringed. Informal setting much? No chance of hiding in the toilets in between speakers here. But I agreed because I really did want to meet a couple of the bloggers that would be along. There is no such thing as strangers in the blogging world. Strange yes. But no strangers. The time flew, and before I knew it I had to drag Sal away so I could make my shift at my second job. I don't read 100% of the blogs of the people who attended. And I'm pretty darn sure that very few of them have stumbled over mine before. But that wasn't the point. The table never quietened down as conversations flew, we laughed, we shared food, I jealously eyeballed everyone else enjoying the champagne Glow managed to secure for us at the oh so accomodating Bungalow 8 restaurant in Sydney (insert sponsor flog here), and as always when bloggers get out together the twitter and instagram streams were burning. I'd do it again. And again. 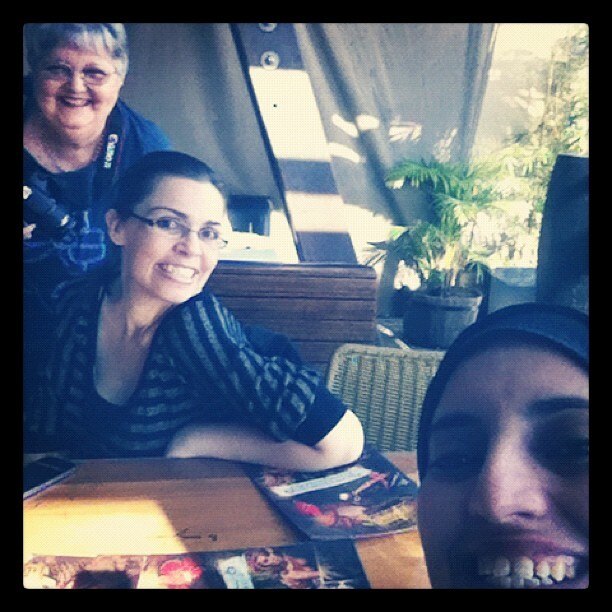 I will most definately be taking up Denyse Whelans suggestion of a Western Sydney meet up. It was lovely to meet you and Salz on Saturday! Yay great day. Gotta do it again. I think this should be a monthly thing. I think I enjoyed myself to much that day and loved being away from my kids lol. It was great to meet you too JJ and everyone else.